The University of Southampton is to share in £5.3 million of funding to help Government and industry to plan and design a robust national infrastructure system. The aim of the MISTRAL (Multi-scale InfraSTRucture systems AnaLytics) programme is to change the ways in which strategic infrastructure planning, investment and design decisions are made at local, national and global levels. It will develop a framework of information, analysis and networks to inform strategic infrastructure decision making. Governments and businesses will have access to information that tells them how all infrastructure systems are performing, which help to pinpoint vulnerabilities and identify the risks of failure. They will be able to perform analysis of proposed investments and explore the effects of future uncertainties, such as population growth, new technologies and climate change. •	Transport experts Professor John Preston and Dr Simon Blainey, along with waste management experts Professor William Powrie, Dr Anne Stringfellow and Geoff Watson, will help to develop the models to inform the analysis, planning and design of national infrastructure. •	Professor Robert Nicholls, expert in the impacts of climate change on the coast, and Adrian Hickford, expert in transport systems, will investigate how infrastructure systems analysis can be shared globally, presenting business opportunities for UK engineering firms. The five-year MISTRAL programme, funded by the Engineering and Physical Science Research Council (EPSRC), was launched at the Institution of Civil Engineering in London on Monday (23 May). 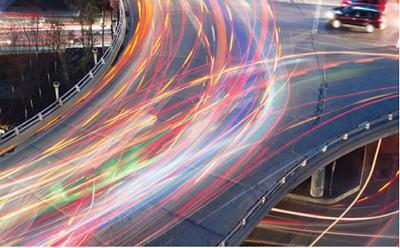 It is the second research programme of the UK Infrastructure Transitions Research Consortium (ITRC) and it will run until 2020. The University will receive £757,000 of the £5.3m.